Drawn to Rock and Pop, Chris' musical influences range through a broad spectrum which is clearly noticeable in his songs. Chris molds his original writing style into songs filled with catchy hooks, poignant lyrics and creative counter-melodies. On this new single, Chris Dukes (vocals) is backed by an all star band - Kenny Aronoff on drums (John Mellencamp, The Smashing Pumpkins, Bon Jovi), Sherrod Barnes on guitar (Whitney Houston, Roberta Flack, Quincy Jones) and Alec Shantiz on keyboards (Mariah Carey, Daryl Hall, CeCe Peniston). 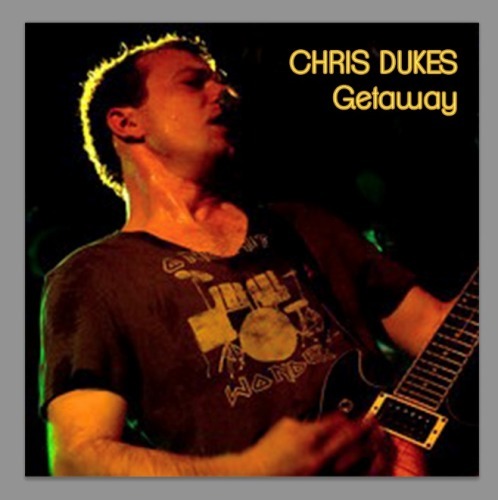 Chris Dukes is an exciting and gifted multi-talented singer, songwriter, and instrumentalist from Albany, New York, who has opened for Third Eye Blind, Marcy Playground, Eddie Money, Antigone Rising, Keller Williams, among others, and comedians Colin Quinn and Nick DiPaolo. Chris' previous single "You're Gone" charted on the "Online RadioBreakout Chart." If his voice sounds familiar, that's because you've heard him sing on commercials for major corporations like General Electric, Kodak, F.Y.E, and "The Home Depot Anthem." Chris has received favorable press from The Daily Gazette (Schenectady, NY), Metroland (Capital Region, NY), The Evening Sun (Chenango, NY), Albany Times Union (Albany, NY) and the Indie Music Review (Wasco Publishing) which wrote, "...Not only has he built a solid fan base with his driving rock with great guitar and vocals, he has sung in several major television commercials that showcase his musical abilities."